I read this on February 22...... while in jail. 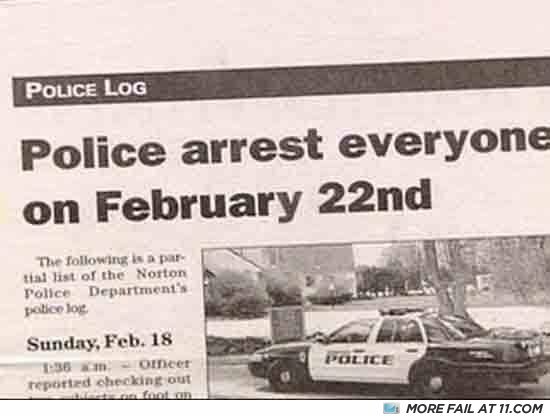 In other news, February 21st Police fund raiser does poorly. Well it was black history month..
Why did the boy cut his hair?